In 2016 Martyn published his new English version of the Ancient Chinese classic text, the Daodejing. The book is available from Enitharmon Press. Reviews and Comment: a recent review by Shengchi Hsu in PN Review, March 2017: “Crucefix captures the spirit of Laozi’s philosophical inquiry through a poetics of ‘indirect direction’ that speaks in a transparent yet seemingly solid way”. Read the full review here: Daodejing – PN Review Mch 2017. Here is another thoughtful and fulsome review of the book by John Snedding from LondonGrip (June 2016). Another review by Kathleen McPhilemy can be viewed here: Daodejing Sofia Review 2016. Ian Brinton’s review for Tears in the Fence can be read here. These 81 brief poems from the 5th century BCE make up a foundational text in world culture. In elegant, simple yet elusive language, the Daodejing develops its vision of humankind’s place in the world in personal, moral, social, political and cosmic terms. Martyn Crucefix’s superb new versions in English reflect – for the very first time – the radical fluidity of the original Chinese texts as well as placing the mysterious ‘dark’ feminine power at their heart. 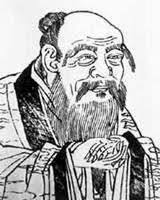 Laozi, the putative author, is said to have despaired of the world’s venality and corruption, but he was persuaded to leave the Daodejing poems as a parting gift, as inspiration and as a moral and political handbook. Crucefix’s versions reveal an extraordinary empathy with what the poems have to say about good and evil, war and peace, government, language, poetry and the pedagogic process. When the true teacher emerges, no matter how detached, unimpressive, even muddled she may appear, Laozi assures us “there are treasures beneath”. Brief video of Martyn at the StAnza Festival in March 2016 reading from this book: Click here.